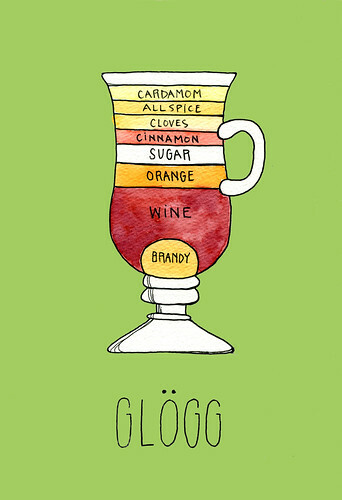 Glogg, gluevein, mulled wine, vin chaud it's all basically the same spiced warm wine. Yes, I know it's festive, and yes, I've imbibed, but honestly, it's a little gross. I mean, just typing the words "warm wine" kind of grosses me out. But the idea is romantic and nostalgic and festive. So I meat section-ed it. so there.